Information obtained under the Right to Information (RTI) Act has revealed that Lok Sabha speaker Sumitra Mahajan banked on what has been described as “truncated” opinion of the Attorney General of India (AGI) while rejecting the claim of the Indian National Congress (INC) for Leader of Opposition (LoP) in the lower house in 2014. 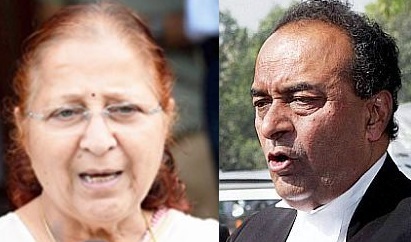 Marked “confidential”, the AGI, Mukul Rohatgi, in his “opinion” to the Lok Sabha speaker on July 23, 2014, seeks to bank on the ruling of the first Lok Sabha speaker, GV Mavlankar, in order to point out how, till 1969, which included the “entire tenure of Pandit Jawaharlal Nehru, and thereafter”, there was no LoP. Based on this, says Rohatgi, in the sixteenth Lok Sabha, constituted in May 2014, the largest opposition party, the INC, with just 44 members of Parliament MPs), did not have the “quorum” – 10 per cent of the Lok Sabha strength, 55 MPs. At the same time, the RTI reply reveals, Rohatgi sets aside the Salary and Allowances of Leaders of Opposition Act, 1977, which defines LoP. Senior RTI activist Venkatesh Nayak, who obtained the “confidential” information from the Lok Sabha secretariat, says, what Rohatgi does not take into account is, “Parliament rejected the idea of fixing a quota for claiming the LOP's chair decisively” in 1977. “In support of his amendment proposal, Kamath quoted Mavalankar, where a reference was made to the 10 per cent seat requirement. This amendment was decisively rejected by Janata Party MPs who were in the majority in the then Lok Sabha”, Nayak says. “So the numerical strength argument was weighed, measured and discarded by the Lok Sabha. To insist that 10% seat quota is essential to claim the LoP's chair amounts to blatant disregard for the express intention of Parliament”, Nayak, who is with the Commonwealth Human Rights Initiative, argues.